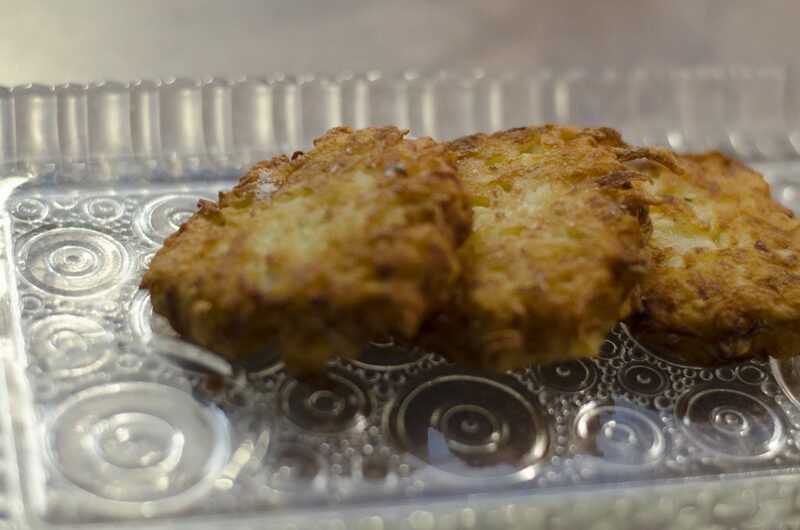 A dish as old as time, or at least the mid 1800’s, latkes are an and easy dish to make that will leave your tummy full and taste buds happy. 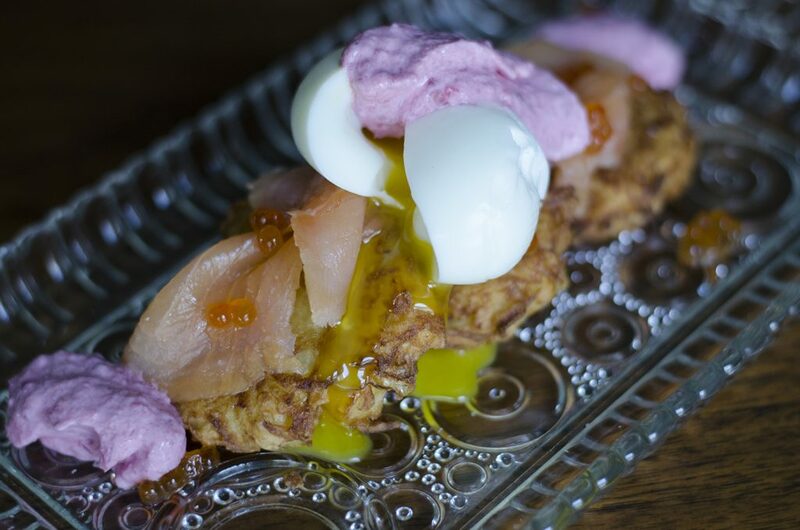 Otherwise known as potato pancakes, latkes are traditionally associated with Jewish cuisine, but let us throw in a little known fact here: according to PBS, latkes actually descend from Italian pancakes that were made with ricotta cheese. Mmmm. Ricotta. 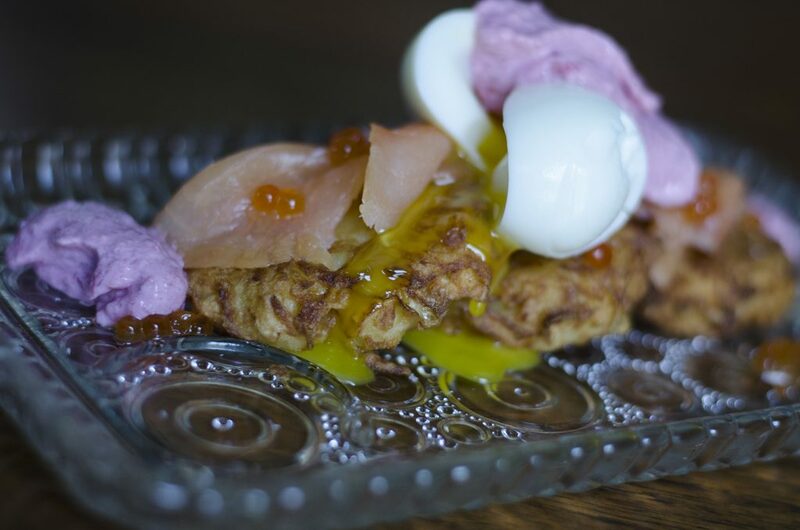 We figured we’d stick with the potato pancakes and had chef Johnny Oran of Licia Ruby Food Company guide you through an easy recipe that will fill you up. The great thing about this recipe is you can save the extra batter in the fridge and make the latkes whenever you get a craving. Using a food processor with a grating insert, grate the potatoes and then the onions, transferring grated vegetables to a large bowl when the bowl of the food processor is filled. Alternately, use a box grater. Working in batches, place the potatoes and onions in a clean dishtowel and thoroughly wring out the excess liquid over the sink, then transfer the potato-onion mixture to a large bowl. 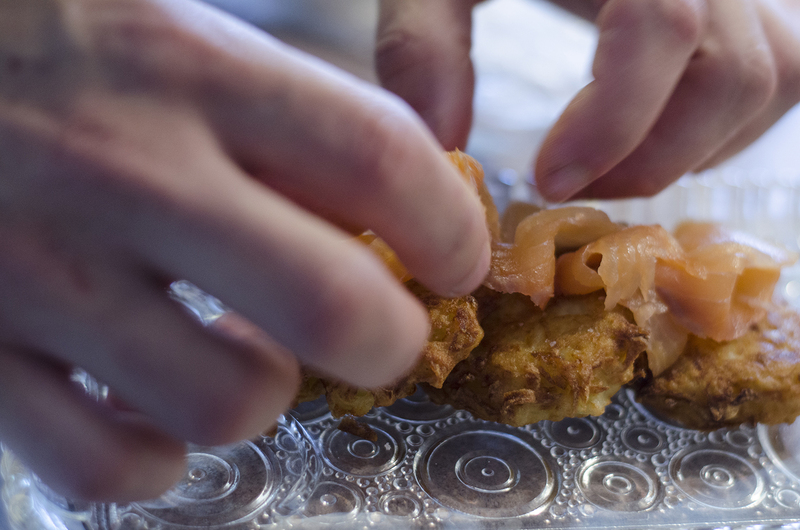 The more liquid you remove, the crispier your latkes will be, so take your time and use several dish towels if necessary. In another large bowl, whisk together the matzo meal, salt, and pepper. Add the potato-onion mixture and mix well. In a large skillet over medium heat, melt equal parts schmaltz and oil (or oil only if omitting the schmaltz) until a scant 1/4-inch depth of fat is reached. Drop 2 tablespoons of latke mixture into the hot fat, spacing them 2 inches apart. Flatten latkes slightly using a spatula and cook, turning once, until crisp, golden brown, and cooked through, 3 to 4 minutes per side. Transfer latkes to wire racks and season with salt; return to the oven to keep warm; season with salt. As you remove latkes from the pan, replace them with fresh spoonfuls of potato mixture to maintain oil temperature.